POETRY FRIDAY is at Julie Larios' THE DRIFT RECORD. Times are hard. And because they are hard for adults, they are also hard for kids. Now, more than I ever, I need to be able to hand kids books that say, "You are not alone." I have found a new one this week. 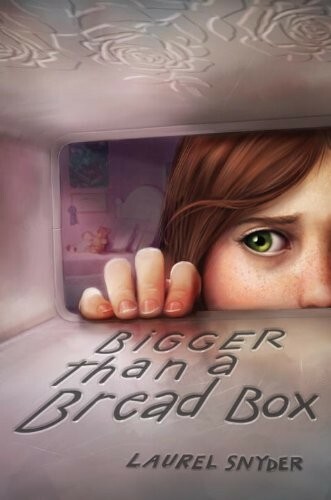 Twelve-year-old Rebecca, in Laurel Snyder's BIGGER THAN A BREADBOX, will be a friend, I am sure, for many of my students. Her mom and dad are having a hard time, and finally, one day after school, her mom puts Rebecca and her three-year-old brother, Lew, in the car and leaves Baltimore, headed for her mother's house in Atlanta. Rebecca, who has always been called Rebecca, misses her dad horribly. And she is a new kid, missing her niche and friends in her old school, trying to be the "Becky" that the popular kids at her new school want her to be. And her mom, drowning in adult issues, is not really there to help. BIGGER THAN A BREAD BOX is one of those books that screams to be shared with kids. It's about family, and fitting in, and growing up, and right and wrong. But mostly, it's just about saying to kids, "You are not alone." P.S. Karen, over at Literate Lives review Bread Box here, then has a recap of a skyping session between her class and Laurel Snyder here. Our Christmas vacation has been relatively quiet. I've read and reread and reread the CYBILS poetry nominees, and finally picked my five. We went to Colorado Springs and spent Christmas day with my family. I've spent time with my book club buddies and seen a couple of movies. I've done a little cleaning… What I haven't done, at least as much as I usually do, is read, at least not in the voluminous way I usually do during vacations. Yesterday, I did pick up THE FRIENDSHIP DOLL, a historical fiction novel by Kirby Larson. 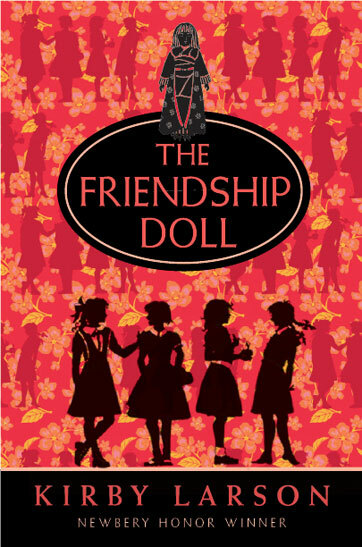 THE FRIENDSHIP DOLL follows Miss Tanagawa, one of 58 "ambassador dolls" sent to the United States by Japanese schoolchildren (this actually happened), in 1927. The historical fiction/fantasy line is blurred occasionally, as Miss Tanagawa interjects her voice into the lives of five different characters in five short, novella-like episodes. The first four episodes are set against the backdrop of the Great Depression era, and there is a lot of history embedded. When Miss Tanagawa arrives in New York, she is greeted by a group of children, including Bunny, a wealthy, high society child, who is disappointed that a Roosevelt heir has been chosen over her to give the speech welcoming the dolls to the United States. Next, Miss Tanagawa travels to Chicago, where we meet Lois, a child who has dreams of flying like Amelia Earhart. After that, Miss Tanagawa is sold at an auction and ends up in the closet of a crochety old lady, whose heart is finally awakened by Willie Mae, a poor young girl whose father has been killed in a coal mining accident in the Appalachian mountains. From there, Miss Tanagawa travels to a museum in Oregon, where she encounters Lucille, who is traveling cross country with her widowed father, following the crops during the Great Depression. Miss Tanagawa plays the role of conscience or comforter. A look at the cover of this book pretty much captures it's essence. 1. 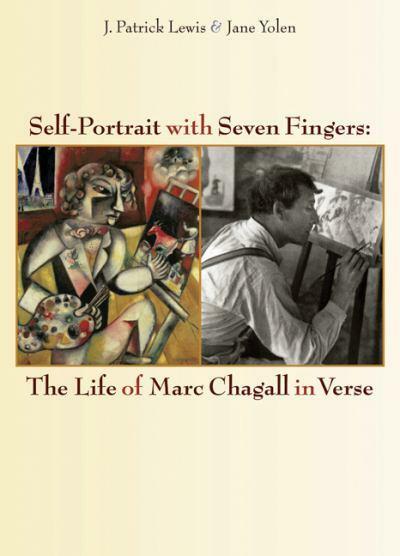 SELF-PORTRAIT is a biography of artist Marc Chagall. 3. SELF-PORTRAIT is written in verse, but each page also contains a block of text detailing biographical information from that period of Chagall's life. 4. SELF-PORTRAIT is written by J. Patrick Lewis and Jane Yolen, two of the foremost authors in children's literature/poetry. 2. SELF-PORTRAIT is illustrated with Chagall's paintings, as well as an occasional photograph. Need I say more? Probably not, but I will, a little anyway. SELF-PORTRAIT IN SEVEN FINGERS is one of those books where poetry, nonfiction, art, and photography are pretty much perfectly melded. Lewis and Yolen have taken a series of Chagall's paintings, and crafted 14 poems, each about a different period in the artist's life. Each two page spread includes the painting, a poem, and a block of text with biographical information about that chunk of Chagall's life. Many of the pages also include a glossary type definition of an unfamiliar Yiddish word. The finished product is rich and multi-textured and really fascinating. And yes, it would be perfect for an art class for any age student, from very young (ok, you would probably have to paraphrase a little with very young kids, but I really think they could get it). I'm also considering using it as the main mentor text for a multi-genre biography project with my fourth graders. I'm a first round judge for the CYBILS poetry category. For the past six weeks, I've been reading and rereading about thirty poetry books that have been published in the last year. 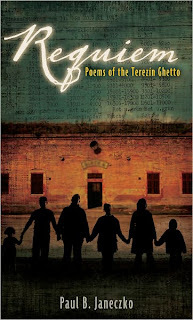 One of those books is REQUIEM: POEMS OF THE TEREZIN GHETTO by Paul Janezcko. In an afterword, Janezcko gives readers background about Terezin, a concentration camp, located on the banks of the Ohre River. (Terezin) became home for the Jewish intellectuals and artists of Prague. As a result, it became a prison in which the arts were tolerated, then encouraged, as a Nazi propaganda tool. Classical music and opera were commonplace, despite the horrors and cruelty of captivity. Lectures were delivered in attics and basements of the barracks. Most of these activities were allowed by the Nazis, who saw these artistic events as proof that they were treating the Jews humanely and allowing their culture to flourish. The reality of the situation was, of course, quite the opposite. Musicians who performed beautifully one night were packed into cattle cars the next, transported to the gas chambers. Each of the 35 poems in the book is told by different fictional character, either a prisoner or German guard. The poems, sparse and haunting, illustrated by actual pencil sketches and watercolors from inmates, help me to remember and care. They would be perfect for a middle or high school social studies unit on the Holocaust. She would go with him. in a kumbal with a curtain. "I would be honored, my friend." "Can you play Johann Strauss?" I smiled. "I am German, am I not?" I played waltzes for them. and played a final waltz. This fall, I've talked a lot about how poetry can make you see the world in entirely different ways. That definitely happened for me yesterday. 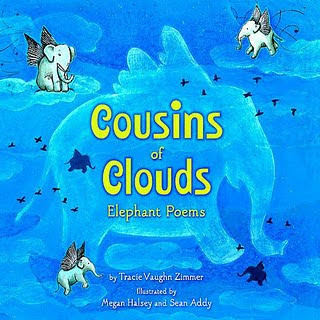 I will never again look at an elephant without thinking about Tracy Vaughn Zimmer's, COUSINS OF CLOUDS: ELEPHANT POEMS. The title poem, "Cousins of Clouds," explains that elephants used to be able to fly, but long ago, after a fight erupted, a great prophet took away their powers. This poem is followed by twenty more elephant related poems. Naturally, there are poems about the elephant's body parts. The first of these is a series of six haiku loosely based on "The Blind Men and the Elephant." Other body parts' poems include "Ivory" and "Trunk" about the animal's tusks and trunk. "Mud Spa" and "Fortress" describe the elephant habits. 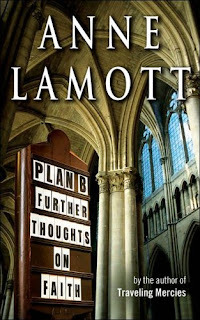 Several poems, such as "This is Just to Say," and "Memory" detail the species' extraordinary memory. Still more poems, like "Beggars of Bangkok" provide snapshots of elephants' treatment in various countries. In Bangkok, elephants were once used for logging. Sadly, the areas have been deforested, and now the elephants and their mahouts (handlers) are forced to panhandle on the streets. "Orphan" is a snapshot of the David Sheldrick Wildlife Trust in Kenya, while "Sonnet for Sanctuary" is a gorgeous poem about an animal sanctuary in Hohenwald, Tennessee. Poems like "White Elephant" and "A Riddle" describe historical traditions related to elephants. I especially loved the design of this book. Many poetry books about animals contained fact pages or additional information in authors' notes. In COUSINS OF CLOUDS, however, this information is included in a text box right on the page with the poem. I loved being able to read the poem and the background information without having to flip back and forth. I'm looking forward to using COUSINS OF CLOUDS with my students. A terrific mentor text, or multi genre study, or just a plain fun read! It's December 20th, the second day of midwinter break. I had anticipated that I would be devouring children's books, reading a book a day, trying to get some of the Newbery prospects under my belt before the announcement in January. Instead, my reading journey has taken a sidetrack. 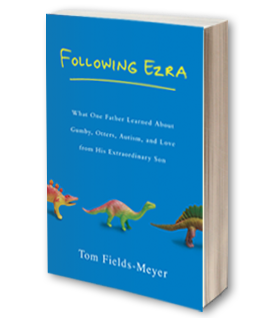 I'm reading a memoir, FOLLOWING EZRA: WHAT ONE FATHER LEARNED ABOUT GUMBY, OTTERS, AUTISM, AND LOVE FROM HIS EXTRAORDINARY SON. Tom Fields-Meyer, former PEOPLE magazine journalist, and his wife, Shawn, a rabbi, have three sons. Their middle son, Ezra, now about 15, has autism (I'm never quite sure if I am wording this correctly, so my apologies if I'm not). Ezra loves the zoo, dogs, and all things Disney/Pixar. He memorizes dates and addresses and and birthdays and uses those as his avenue to connect with people. This book chronicles Fields-Meyer's journey, not to grieve the son that he might have had, but rather to understand, appreciate, and love the son that he has. "Some teachers figure, 'Well, you speak Japanese and I speak English, so there's no way we can ever communicate. But I want to learn Japanese. I want to learn to speak Ezra's language and communicate with Ezra, so he'll let me into his world. That's what this is all about…." FOLLOWING EZRA is a great read. Especially for a friend, teacher, or parent that really needs to learn Japanese. As anyone who knows me at all already knows, I am a lover of books. And I am a lover of poetry. And I am a teacher. What then, could be better, than a book that combines books, and poetry, and could also be used in a classroom? On the Shelf and Under the Bed captures the joys of reading, owning, and caring (or not caring) for books. There are several poems that simply create beautiful images around books and words: Paper Sky, Written in Snow, and my dear friend MaryLee's favorite, Skywriting. Please be sure for read Mary Lee's beautiful review, complete with video of "bird blobs." The illustrations, by Canadian Josee Bisaillon, are a combination of paint (I think), cut paper, and collage, mostly done in shades of orange, blue, golds, greens. Hard to describe, but gorgeous! One more day and then winter break. Like many schools, we no longer have holiday parties. Today we are having a read-a-thon. I'm bringing in all my holiday books and we'll spend the morning sharing poetry and books and snacks and friendship. I hope that we will have a blast. My students don't have much in the way of material things. Yesterday one of my little gals told me Santa is coming to her house on January 15th because he has to buy her mom a "new" car this month. Most of my kids get stuff like shoes and coats. Some won't have Christmas at all. More than anything, I want my students to know the power of books. I want them to understand, in a deep and life changing way, that books are a place of deep joy, a way of understanding your own life and the lives of others, a ticket to unknown worlds, and maybe a ticket to college. I want them to know that books and poems and words bring a richness that money can't buy. This week, as I was reading and rereading some of the CYBILS poetry nominees, I found a poem that captures what I want for my students. "Who's Rich?" by Naomi Shihab Nye is one of thirteen poems in Lee Bennett Hopkins, I AM THE BOOK. 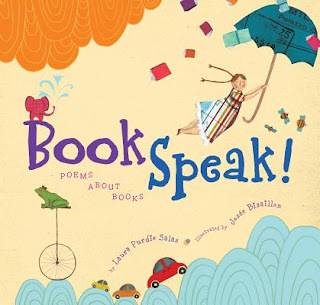 Lots of terrific reading-related poems in this book-- couldn't decide today, whether to use "Poem" by Jane Yolen, or "When I Read" by Beverly McLoughland. Also thought about "I Am the Book" by Tom Robert Shields, or "What Was That?" by Rebecca Kai Dotlich, Karla Kuskin's "Wonder Through the Pages," or "Book" by Poem Farm (and Poetry Friday's) Amy Ludwig VanDerwater. All of the poems in this book are just plain lovely. The girl with a tower of books by her bed. She opens and opens and opens. Poetry Friday is at Kate Coombs' BOOK AUNT. Labels: CYBILS 2011, Poetry Friday. Sorry to be so, so slow with the Poetry Roundup this week. My computer died on Thursday, I thought it was the power cord and ran to Apple to buy a new one. That worked on Friday but the computer started being fritzy again yesterday. Took it to the repair shop and it turns out the problem is not with the power cord, it's with the plug. I am currently sitting at Kinko's trying to finish the Roundup which should have been done on Friday. I apologize! P.S. The computers at Kinko's or Blogspot are wreaking havoc on the spacing and fonts. I have been sitting here for two hours formatting and reformatting and I am finally giving up! So sorry! Liz Gartan Scanlan shares an absolutely gorgeous ten minute video and reminds us that "the only appropriate response is gratitude." Laura Shovan combines beautiful nature photography with tanka, and gives those of us who are teachers a tanka lesson to use on Monday. Thanks, Laura! Teaching Authors is finishing a series on thankfulness. Such richness here! The Write Sisters have two student poems from TINY ROADS INSIDE CABBAGE, a collection of poetry written between 1972 and 1982. I'm salivating over these young poets' perfect detail. Tara shared "eco-literacy" poems from RIVER OF WORDS. This organization hosts a yearly student poetry contest. Wander by the Poem Farm to read the work of a terrific second grade poet. Donna at Mainely Write, wrote a poem for her three-month-old grandson. I can't think of anything cooler than writing poetry for my grandchildren (although I do hope I don't get the opportunity for quite a while!). At Fomagrams, David Elzey ponders the mid-century mark. Mandy shares three different types of cinquain she wrote in a college writing class. The amazing Jone McCulloch (Deowriter).is not only chairing the CYBILS poetry committee, she also wrote a poem a day for thirty days. Laura Purdie Salas has two offerings this week. At her blog, she shares "If A Tree Falls" from her newest book, BOOKSPEAK. Then in her "15 words or less" post, she shares "Levitate" (and who can't remember the fun of jumping on a bed?) Congratulations onhaving a poem accepted on YOUR DAILY POEM. 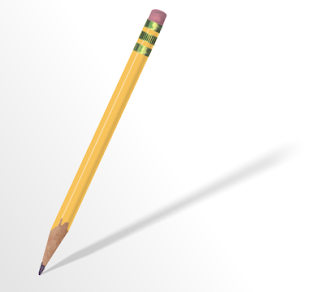 Sylvia Vardell's post features J. Patrick Lewis, who was awarded the 2011 NCTE Award for Excellence in Children's Poetry. Sylvia's graduate students created a J. Patrick Lewis Toolbox, complete with book trailers and other interesting resources. Great poetry minds think alike, because Elaine Magliaro (Wild Rose Reader, also shared this poem. Adrienne shares Billy Collins "Workshop," which, for those of us who have ever been part of a writing workshop, is hilarious. Talking about her own experiences in Writing Workshops, she says, "You can improve your writing through workshopping, but in the beginning and the end, it's you and your brain and your words. In the middle, it's a comfort to know other writers though, people who understand your weird lifestyle, why you devote so much time to this solitary pursuit, and what you are trying to accomplish." So, so true! Irene Latham ponders truth in poetry. Definitely worth a read! At Poetry Advocates, Steven Withrow analyzes Ted Hughes' use of sound. The folks at Stenhouse posted the same Kate Messner poem as I did, reminding us to "read it, share it with our students, and most important of all: live it." My fourth graders have been talking about poems that teach life lessons. At Year of Reading, Mary Lee has "Building Bridges. "This would be a great one to read at a meeting of literacy coaches or veteran teachers! Despite suffering from a "cold colossal", Katya managed to translate a poem about the ritual of drinking tea from Russian to English. I'm a coffee girl all the way, but this poem made me think about hunting up a samovar. You can find another "Hall of Fame" poet, Rita Dove, at Ruth's "There is No Such Thing as a God Forsaken Place." And for a little Shakespeare, check out Maria's post from the George Hall Free Library. And on a cold and snowy Saturday in Denver, I appreciated reading Emerson's "Snow" on Robyn Hood Black's blog. Also loved Dori's Robert Louis Stevenson poem. "…and I want to live my life all over again, to begin again to be utterly wild." At Father Goose, Charles Ghigna brings us I SEE WINTER a new book for some of our youngest poetry loving friends. Just reading three lines makes me think I want to own WHEN I LOVE YOU AT CHRISTMAS. Thanks for sharing this one at Picture Book of the Day, Anastasia. And while we are on the subject of young poetry readers, at Readertotz, Lorie Ann Grover reviews THE MICE OF NIBBLING VILLAGE, a book of 14 poems that celebrate life in a "mouse town." It seems like it might be a great companion volume to Kate Messner's new picture book, OVER AND UNDER THE SNOW, which Lorrie reviewed for Poetry Friday two weeks ago. And at another blog, On Point, Lorrie presents an original haiku for a friend who has recently had a double mastectomy. At Paper Tigers, Sara and Marjorie host a really interesting interview of lawyer turned poet Janet Wong. In the last year, Janet and Sylvia Vardell have coauthored PoetryTagTime, a series of ebooks. The third and most recent book is a holiday collection that sounds like big fun. Lots of folks (Laura Purdie Salas, Laura Shovan, Heidi Mordhorst) that participate in Poetry Friday have poems in this collection. 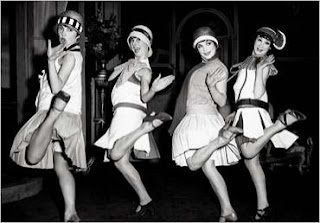 It sounds like one all of us ought to head over to Amazon and check out! I definitely am! Jeannine Atkinson 's poem "Surprise," which she shares on her blog today is a part of the Gift Tag collection. The cookie dough photo that accompanies the poem is so real that I want to pick one up and pop it into my mouth. Janet Squires reminds us about BE GLAD YOUR NOSE IS ON YOUR FACE. I have never seen this book, and thought it was brand new, but it was actually written in 2008. My students love silly poems and this one sounds like a book I definitely have to have. Welcome! Come in! Poetry Friday is here today. Sorry to be slow putting up the initial post-- I had power cord issues yesterday and had to make a quick run to the Apple store last night after my son's basketball game! Thank heaven for extended holiday shopping hours! Thought long and hard about what to do for POETRY FRIDAY today. Everyone is always so amazing and clever and brilliant and um, well, poetic. Sometimes I am some of those things, but sometimes, (maybe most of the time), I am well, um, I guess the best word to describe me is um, maybe I should just say ordinary…Finally decided I would not worry about being clever or wonderful this week, I would just be my plain old ordinary unpoetic self and put up links to a few poems I have loved this week. First, there's a poem about perseverance. I'm the mom of two teenage boys, and they are great guys, but sometimes, well, sometimes, you just gotta persevere. This is an old poem, but I just found it this week. I loved it and am going to share it with my fourth graders today. We have been talking about perseverance all year, and I think they will enjoy this as a companion to Langston Hughes' "Mother to Son," which is one of their favorites. Next, there's a poem for teachers. Kate Messner is a middle school teacher AND an author (you really need to know MARTY MCGUIRE, THE BRILLIANT FALL OF GIANNA Z, and her newest OVER AND UNDER THE SNOW). A while back she wrote a poem that I loved. I read it, then kind of forgot about it, then another friend posted it on Facebook this week. Read the rest of the poem at Kate's website. And finally, after a crazy week, here is a poem I found just yesterday at one of my favorite websites, "Your Daily Poem." "Oo Ee Oo Ah Ah"
Read the rest of this poem at Your Daily Poem. May you have a day full of ting ting walla wall bing bang!